A bespoke wood floor can transform any space, choose quality. If you’d like advice on the latest trends and innovation in wood flooring then please contact us. 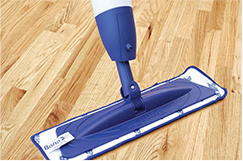 We can also advise on and supply the best products and accessories to install and to also maintain all types of wood floors to keep them looking beautiful. 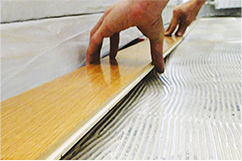 WFA stock an extensive range of flooring. All of which are made to our precise specification in various timbers, grades and finishes. Please contact us to discuss your next project. CLICK TO VIEW OUR RANGE. 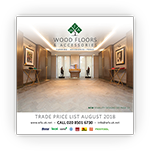 Wood Floors and Accessories (WFA) is a market-leading wholesaler of quality flooring products, supplying to trade throughout the United Kingdom and beyond. Established in 1999, we have tonnes of experience and offer a professional and reliable service. As an independent company, we are versatile and efficient and we pride ourselves on listening to our customers and going the extra mile to meet all of their requirements – no matter how big or small the company, contractor or project. Our mission is to supply you with everything you will need to KEEP YOUR CUSTOMERS HAPPY - whether they are from the residential or commercial sector. We manufacture, import and distribute a large range of wood flooring products, related machinery, accessories and care and maintenance products. If you don’t see what you are looking for in our pricelist please contact us and we will do our best to source it for you. A contemporary, aged or traditional style? Perhaps your customers are asking for wood flooring with motifs, borders or patterns? 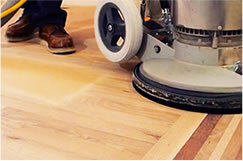 At Wood Floors and Accessories (WFA) we are 100% committed to providing a comprehensive and quality service. Our entire team has considerable experience, we know what we’re talking about and we genuinely want to help you and your business thrive and prosper. 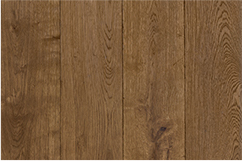 We can supply specialist pre-finished wood flooring that’s unbranded so you promote as your own brand. WFA have been working with Planet Flooring for over 7 years, to watch Jason’s testimonial click on this link. Wood Floors & Accessories offer a great range of flooring products at competitive prices but it's not always just about the price. We don't buy from companies based on how cheap we can get it, the quality of the product and the service supplied is much more important. Wood Floors & Accessories are outstanding on product, service and price. Why would we go anywhere else!? I have been a customer with WFA for over 10 years now. The service has always been first class. Probably the most reliable delivery service I have used. All members of staff from sales through to delivery are friendly, helpful, considerate and a pleasure to deal with. They offer a good selection of competitively priced products plus the technical knowledge to back it up and have always been very willing to help with any product or tool enquiries i have made. All in all they are an important part of helping keep my business running smoothly! Our preferred supplier of high end quality timber. We have worked with WFA for many years now. Great service, reliability and professionalism.